Schools don’t have to wait until the CBSO arranges our annual Key Stage 1 or Key Stage 2 concerts - you can have a performance in school from one of our amazing small ensembles. These concerts can be accessed by all your pupils – in separate KS1 and KS2 concerts each lasting approximately an hour, or have the whole school attend an hour long concert altogether. Whichever way you decide, we can guarantee to provide your pupils with a fabulous introduction to live performance by some of the world’s best musicians. Our performances don’t just include classical music, our musicians also will perform arrangements of music familiar to your pupils from film and TV as well as introducing them to the individual instruments, and even providing opportunities to join in at key points in the concert. We have ensembles of all shapes and sizes, from string trios to brass quintets, and ensembles that combine wind, strings and brass for a miniature orchestral experience. Performances last for approximately an hour, and a member of the CBSO’s Learning and Participation team would be delighted to discuss your requirements and match you up with the right group for your school. 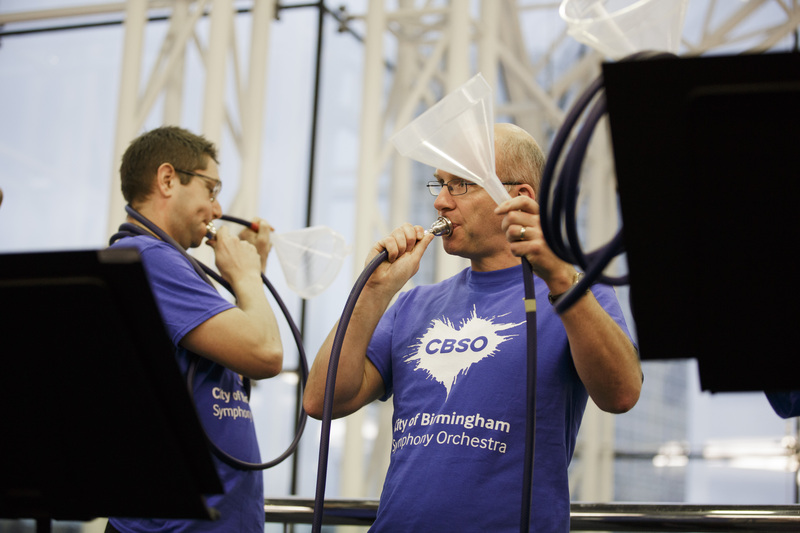 With prices starting at just £375 why not have the CBSO come to you? For more information about the range of ensembles we can provide, or to arrange a performance please contact education@cbso.co.uk or call 0121 616 6531.